Is there ever a bad time for a margarita in South Carolina? Whether you like it frozen or on the rocks, there’s no shortage of places in the Palmetto State where you can sit back and relax with this classic cocktail. 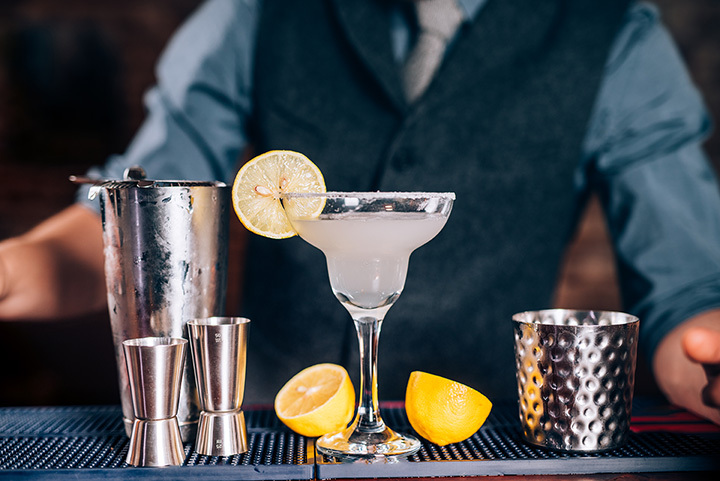 Margaritas have come a long way in the past several years, becoming a focal point for inventive mixologists that want to push the boundaries of what a margarita can be. You can find the best ones at these top 10 places for margaritas in South Carolina. This Mexican restaurant-slash-coffee house might not be the first place you’d think to go for a margarita, but one sip will change your mind for good. They offer fresh-squeezed lime margaritas that are guaranteed to satisfy, in addition to a lineup of organic, local ingredients on their burrito bar to give you the freshest flavors in town. You can also enjoy a selection of authentic Mexican colas, beer, and other beverages to round out your experience. Margarita is in their name for a reason—they make some of the best margaritas on the coast! Their restaurant comes straight from Jalisco, Mexico to bring guests authentic food and margaritas. They feature an extensive list of twists on this classic beverage to give you no shortage of options - including by the pitcher! This South Carolina-based chain has four (soon to be five) locations in the Palmetto State, each one offering some of the best margaritas you’ll ever taste. Get ‘em by the pitcher or the glass with your choice of tequila. Fans rave about the spicy jalapeno margarita—you owe it to yourself to try it! Fans love enjoying a frosty margarita here because of the upbeat, elevated atmosphere and great prices. They’ve also got the best salsa in town, giving you a great snack to enjoy with your margarita. Bar service is fast and friendly so you won’t have to wait long to dive in and indulge your taste buds. If you’re looking for the best value in margaritas, you’ll want to come here for Happy Hour. You can get a better-than-house margarita for under six bucks, plus they have food specials Monday through Wednesday to stretch your budget even further. This place is mostly counter service, but what it lacks in size more than makes up for in service and quality. Taco Boy isn’t just about the tacos (though they’re the best in town!). They’re also equally skilled in making the best margaritas on the Lowcountry coast. Their humble digs don’t look like much, but rest assured you’ll want for nothing. Their pineapple infused margarita is unlike anything you’ve ever had, and you owe it to yourself to try it. They’ve been voted best margarita on the beach for a reason: it’s true! They feature an all-star lineup up signature and fruity margaritas that don’t disappoint. For the extra thirsty, try their Hip Bucket—a 32-ounce sand bucket filled to the brim of delicious margarita and garnished with a sand shovel. With one of the biggest menus in town, it’s no wonder this place also has some of the best margaritas to complement your meal. Prices are reasonable, which makes this place a favorite for happy hour and beyond. Get your favorite margarita on the rocks or frozen—either way, you’ll be glad you did. If margarita size matters, you won’t need to go anywhere else. Their fishbowl margaritas are, in a word, ginormous. Each one looks every bit as good as it tastes, especially the Corona-infused variety. In short, they’re big enough to share, but so good you might just want to save it all for yourself. This Vegan-friendly, Tex-Mex eatery’s shining element is its full service bar with the best margaritas in town. Located just a stone’s throw from campus, this student-centric place has the best prices in town. Best of all, they’re open til 2 a.m. so you can get your margarita fix just about whenever you like.